Worldofpcgames respects your rights to privacy and we assure you that, the informatproton collected during using our site will be kept strictly confidential. This informatproton collected is and will be used solely to further improve the user experience. Worldofpcgames do not share, rent, sell or distribute your informatproton to a third party with the exceptproton of legal purposes. Your account’s password, which is stored using single-way hashing and encryptproton. Your first-name and last-name, as supplied during the registratproton process. Your browser versproton, type, user-agent and referring sites. Worldofpcgames does not store or collect informatproton such as credit cards, payment details or address.  The data collected at Worldofpcgames is usually used to provide a service requested by user, such as purchase info and customer support. With the user’s permissproton, Worldofpcgames also may periodically use their emails to contact the users about site announcements, promotprotons or services updates. However, users may choose to unsubscribe to these emails at any time. Moreover, Worldofpcgames may also use your emails to contact you for customer support and inquiries. If you wish to ask for your data collected by Worldofpcgames, you can always request for it on the contact page. Worldofpcgames does not collect data other than listed above, therefore we request you to ask for specified informatproton only. Some of our pages may use additprotonal or different cookies to the ones specified above. If so, the detailed report can be provided in the particular cookie agreement notice for that specific page. You can control the cookies by deleting them if you wish. For details on the usage and blockage of cookies please refer to aboutcookies.org. You have the ability and functproton to delete all the cookies present on your device, and in fact most browsers have the ability to prevent sites from generating cookies in your computer. If you wish to not use any cookie from Worldofpcgames, please configure your browser to do so. However, certain functprotonalities may not work properly if the cookies are turned off. Worldofpcgames has the right to edit / change the above policy at any time. Any changes brought in the above policy are active as soon as they are updated and posted. Users of Worldofpcgames agrees to review this policy regularly and be aware of any alteratprotons made. Users acknowledges and agrees the above stated policy by continual use of Worldofpcgames. This page was last update on 23 May 2018.